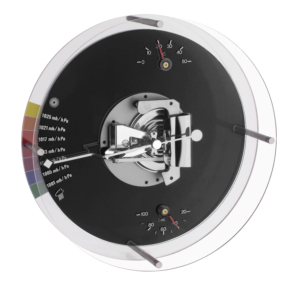 This weather station, made of frosted glass, fits perfectly to a timeless and exclusive interior design. 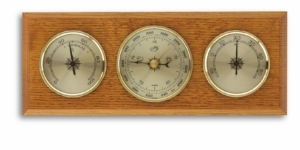 This useful instrument consists of a barometer, a thermometer and a hygrometer. 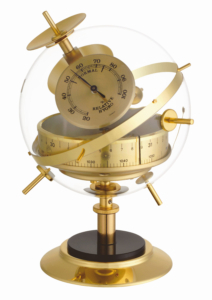 The barometer measures the air pressure and allows you to make a local weather forecast. Whilst the weather improves with increasing air pressure, a decreasing air pressure means that you should expect bad weather.